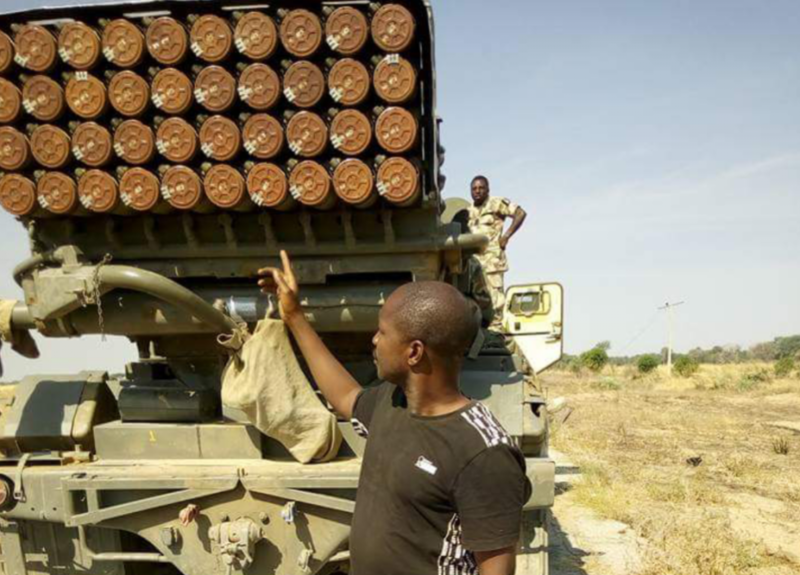 How Boko Haram’s Dream of an Islamic Caliphate was Crushed. 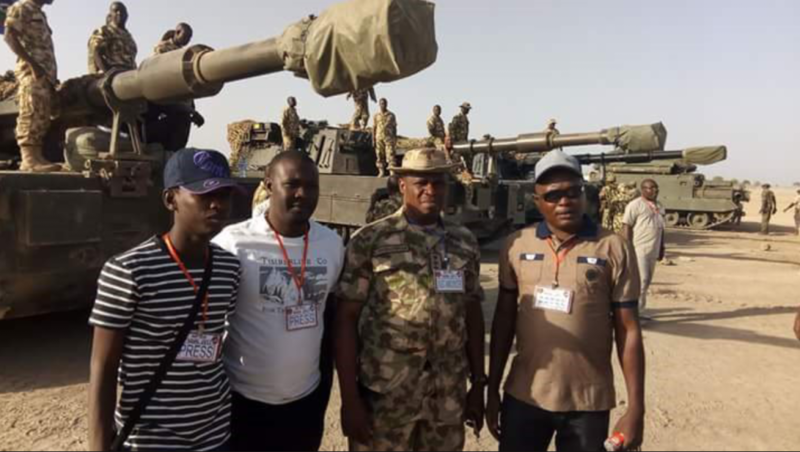 Through out history, the struggle for peace and stability largely comes to fruition through wars fought by soldiers, and sailors and airmen. 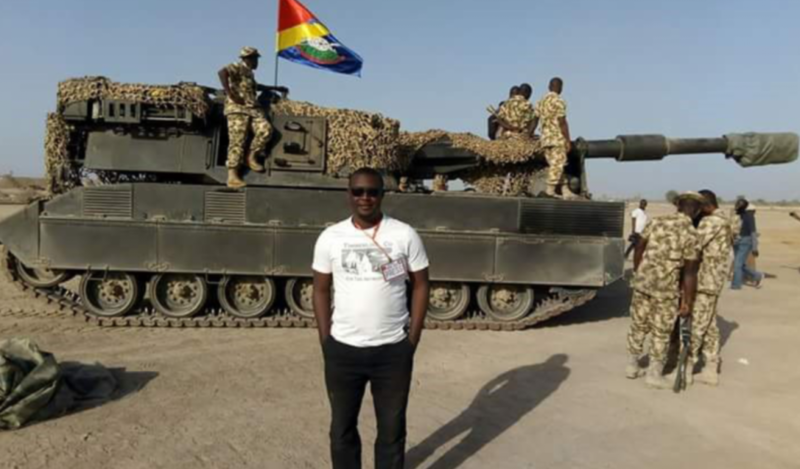 Men who trade their most precious possessions for a heroes welcome reverence, or the return in honour. 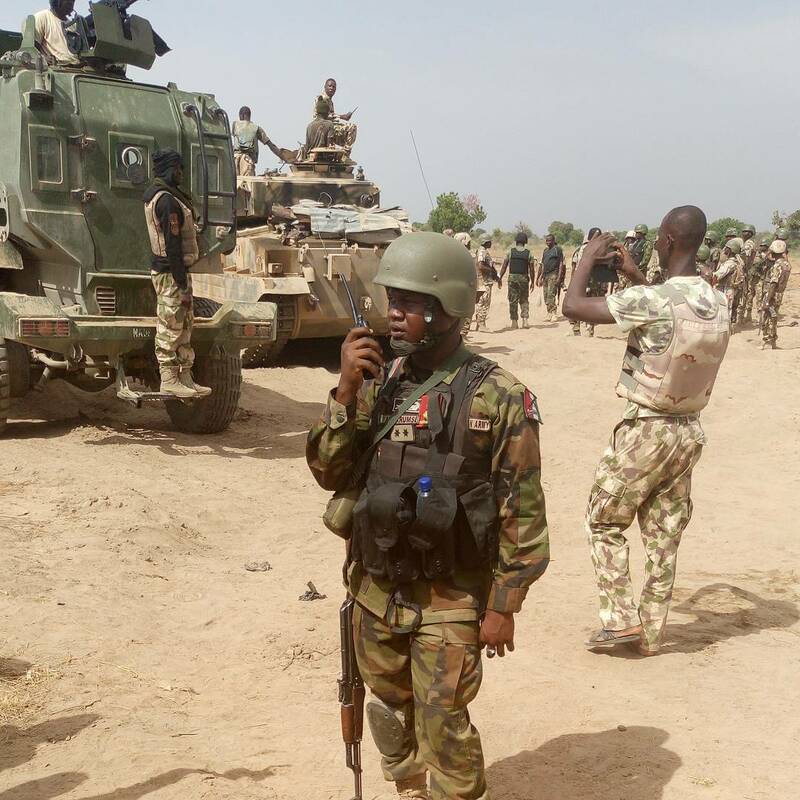 The men and women in the frontlines of Counter Insurgency. 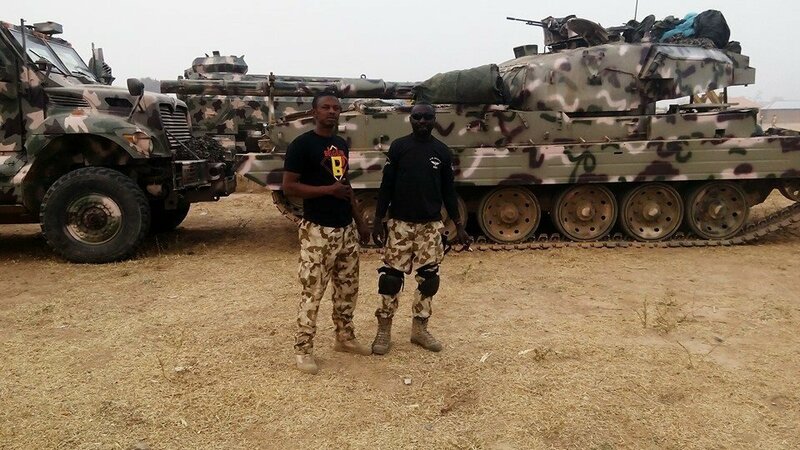 Many Nigerian soldiers and pilots did not return in honour, but they share in the heroic martyrdom of the battlefield, and the reverence of an appreciative society. 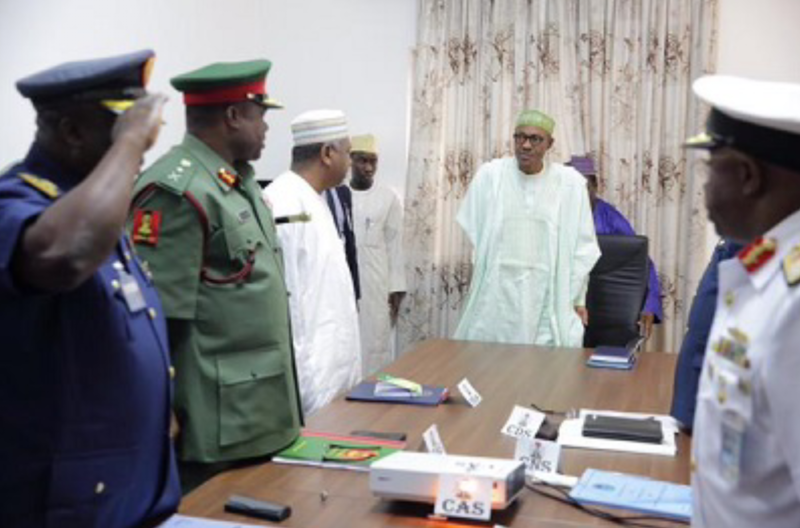 This is the pictorial dramatization of how Boko Haram were beaten, lost all held territories and pushed out of th Sambisa forest. 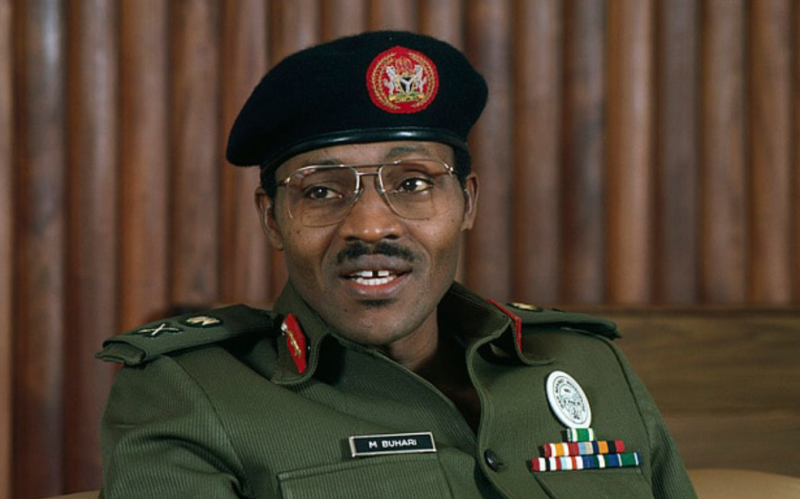 After three failed attempts, Nigeria ‘s war hero General Muhammadu Buhari finally wins the presidency. 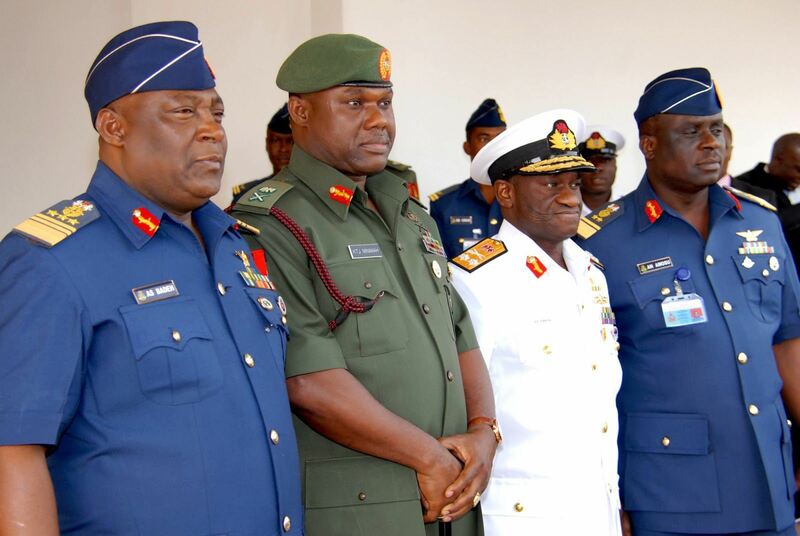 The sacked military chiefs from left, Chief of Defence staff Alex Badeh,Chief of Naval Staff Usman Jibril, Chief of Army Staff Kenneth Minimah, Chief of Air Staff Adesola Amosu. 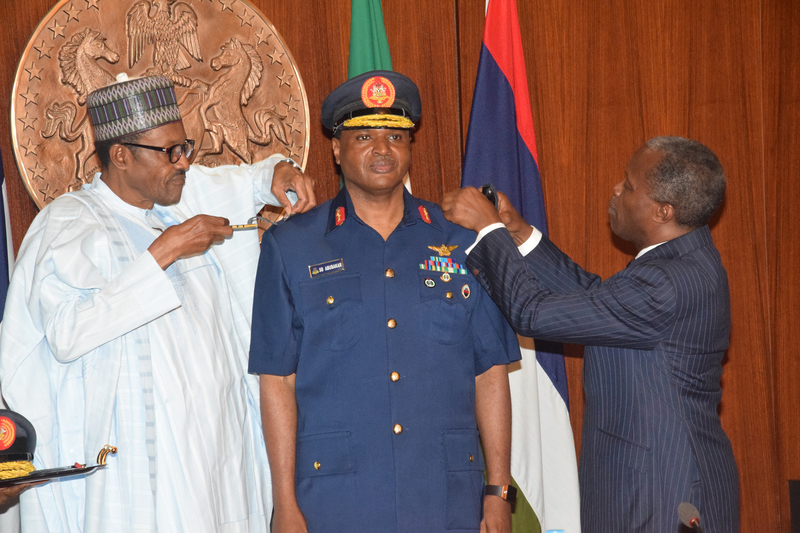 Hours after foreign the nation’s Service Chiefs, President Muhammadu Buhari approves the appointment of their replacements as well as that of a new National Security Adviser, NSA. 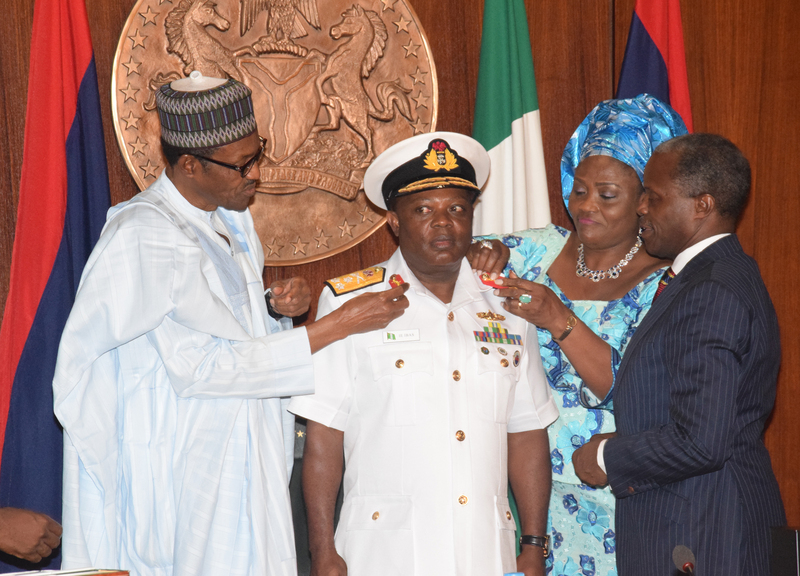 L-R; President Muhammadu Buhari; wife of Chief of Naval Staff, Mrs. Theresa Ibas and Vice President Prof. Yemi Osinbajo Jointly decorating Chief of Naval Staff; Vice Marshal Ibok-Ete Ekwe Ibas with his new Rank during the Decoration Ceremony of the New Service Chiefs at the Presidential Villa. 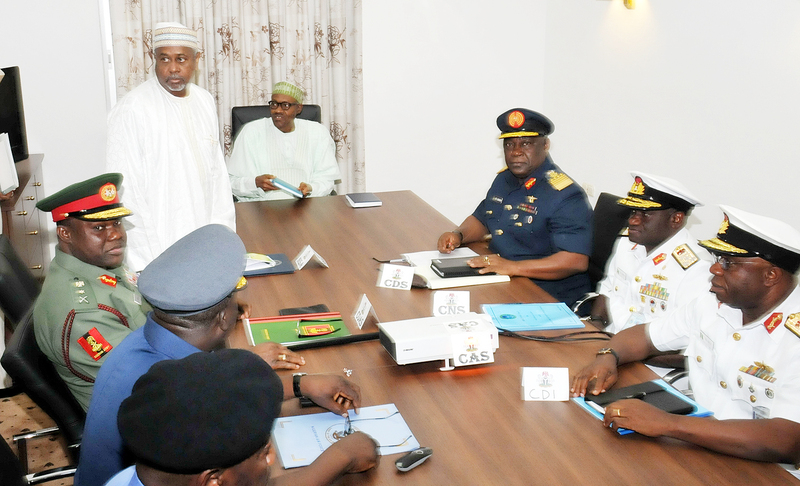 L-R; Chief of Air Staff; Air Marshal Sadique Abubakar; Chief of Defence Staff; General Abayomi Gabriel Olonisakin; Vice President Prof. Yemi Osinbajo; President Muhammadu Buhari; Chief of Army Staff; Lt. General Tukur Yusufu Buratai and Chief of Naval Staff; Vice Marshal Ibok-Ete Ekwe Ibas during the decoration Ceremony of the New Service Chiefs at the Presidential Villa Abuja. 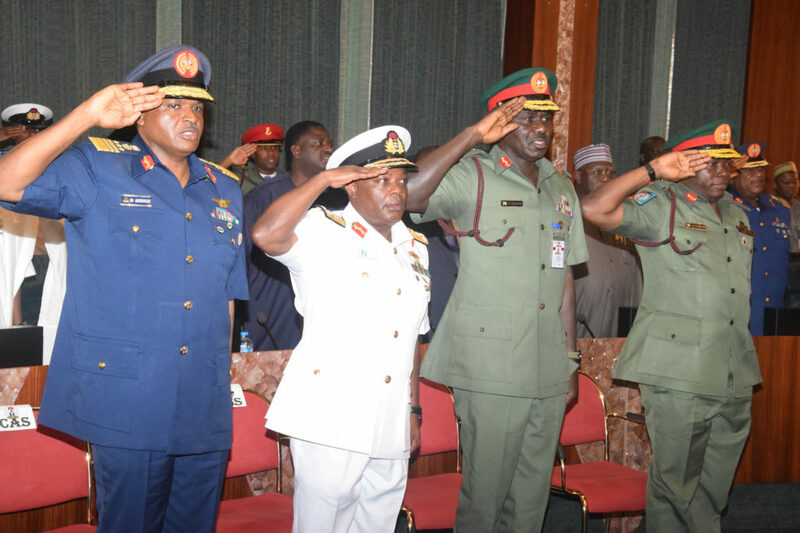 L-R; Chief of Air Staff; Air Marshal Sadique Abubakar; Chief of Naval Staff; Vice Marshal Ibok-Ete Ekwe Ibas; Chief of Army Staff; Lt. General Tukur Yusufu Buratai and Chief of Defence Staff; General Abayomi Gabriel Olonisakin; during the decoration Ceremony, by the President Mhammadu Buhari at the Presidential Villa Abuja. 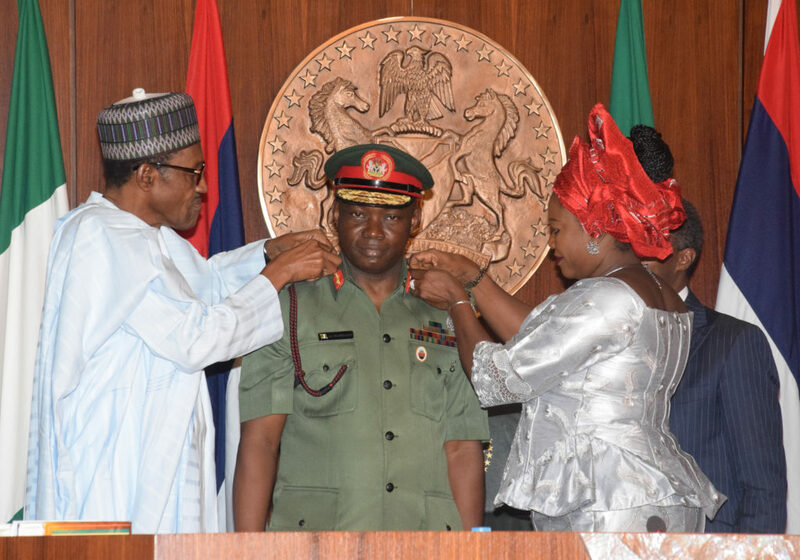 Nigeria’s president Muhammadu Buhari gives his newly appointed Service Chiefs a three months deadline to defeat Boko Haram. 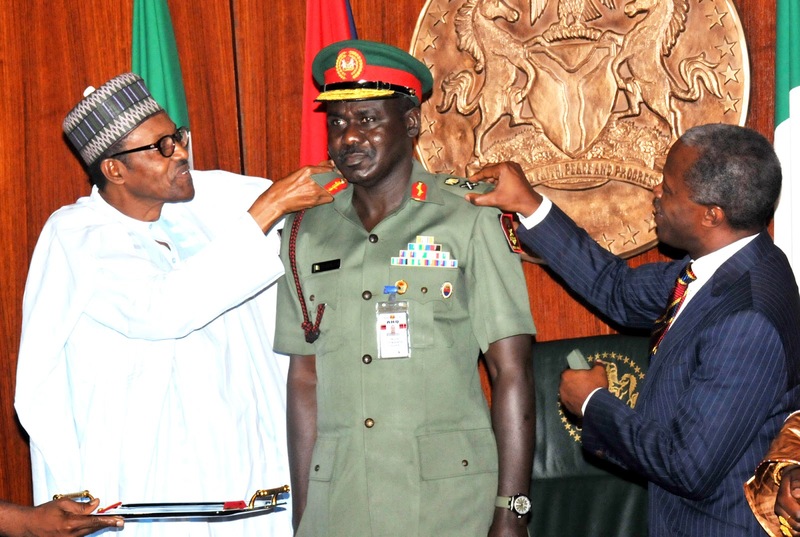 President Buhari orders the Joint Military Command headquarters to be moved from Abuja to Maiduguri, the epicentre of the war against Boko Haram. 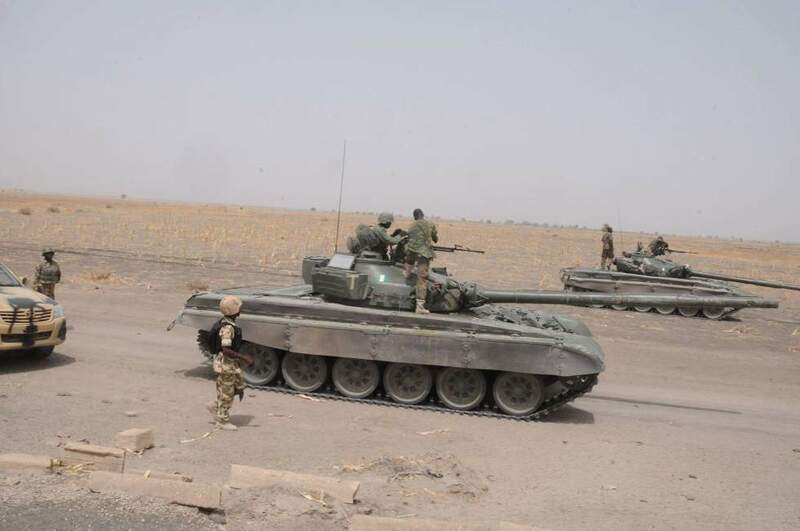 The Nigerian Army begin massing forces in preparation for a major offensive on Boko Haram’s major fortress- Sambisa forest. 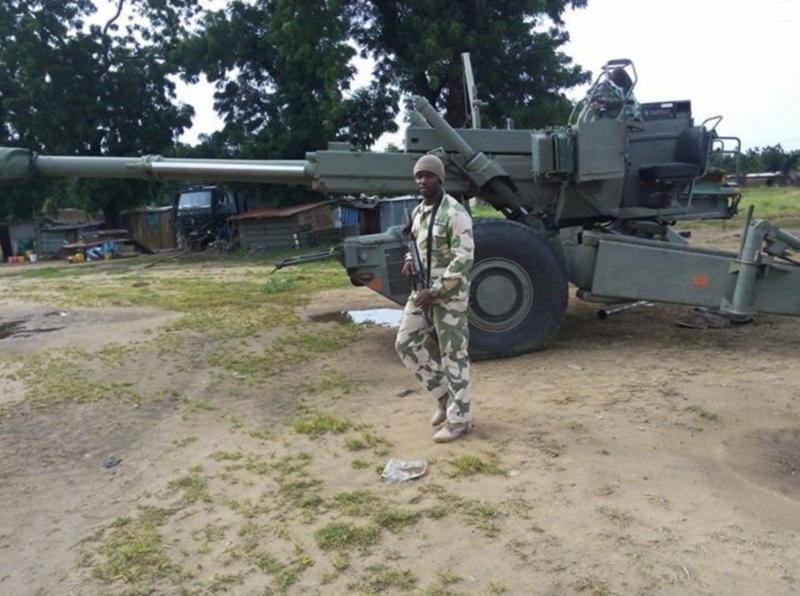 The Sambisa forest is 70 kilometres from Maiduguri. 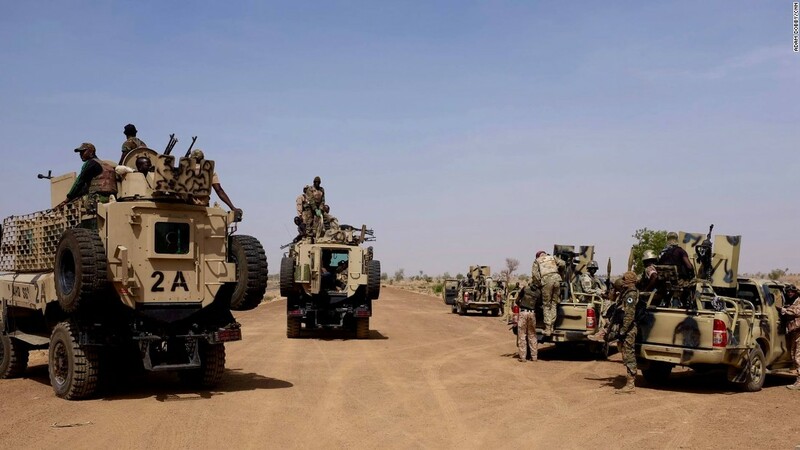 In the first week of December Nigerian forces began massing around the Sambisa forest in a blockade aimed at cutting off the insurgents from reinforcements and support. 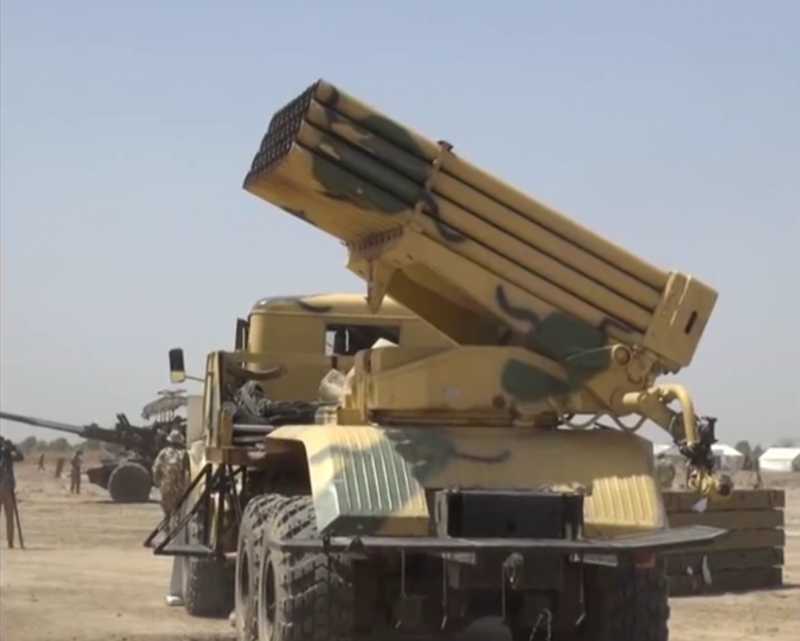 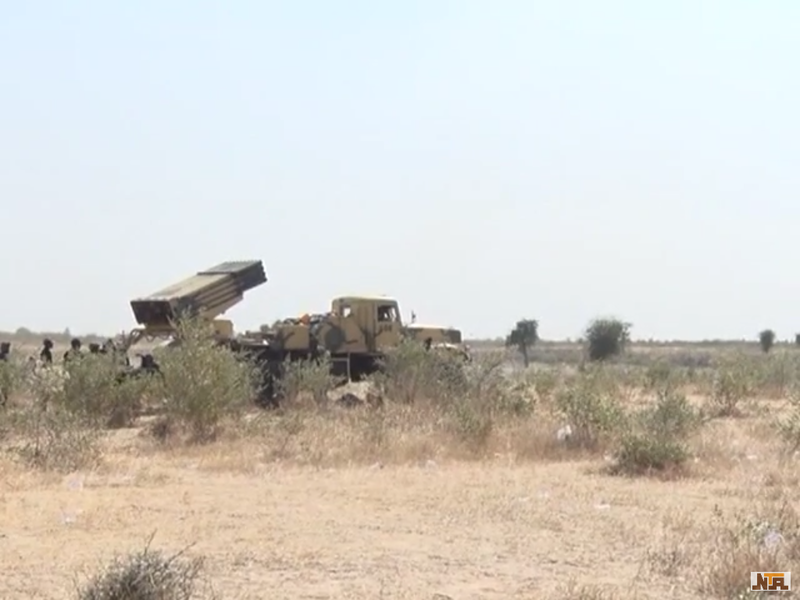 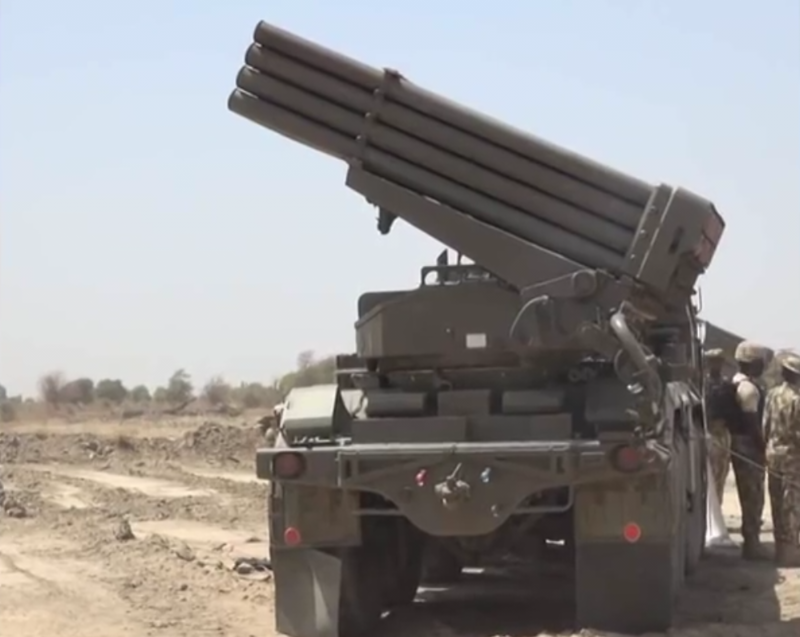 On the Eastern flank rocket artillery units began taking firing positions. 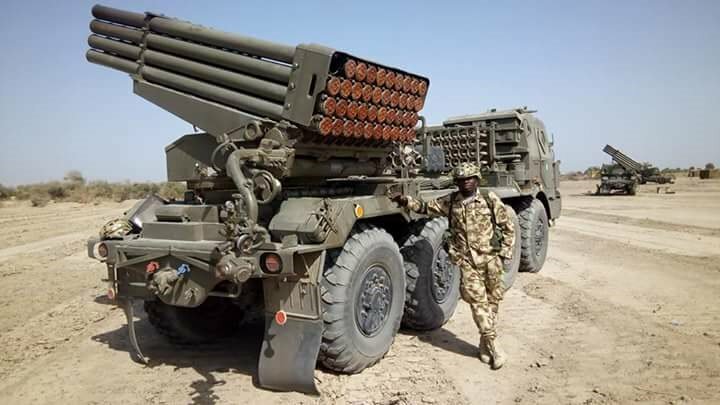 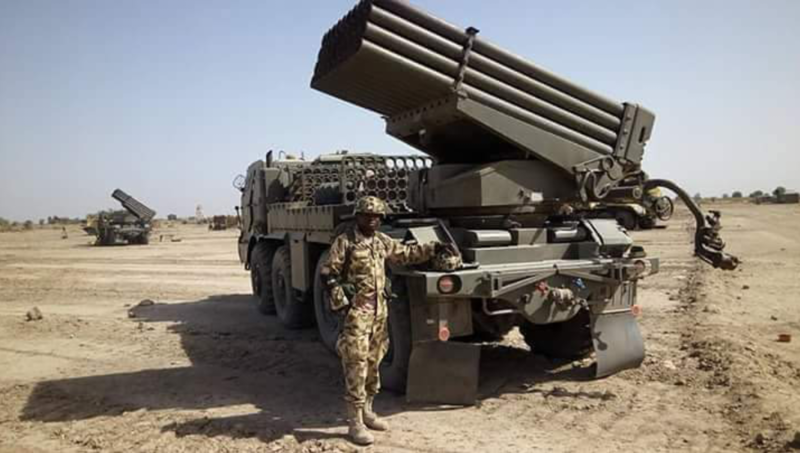 On the Southern axis, 60 km from Maiduguri hard hitting self propelled howitzer and artillery guns took firing positions. 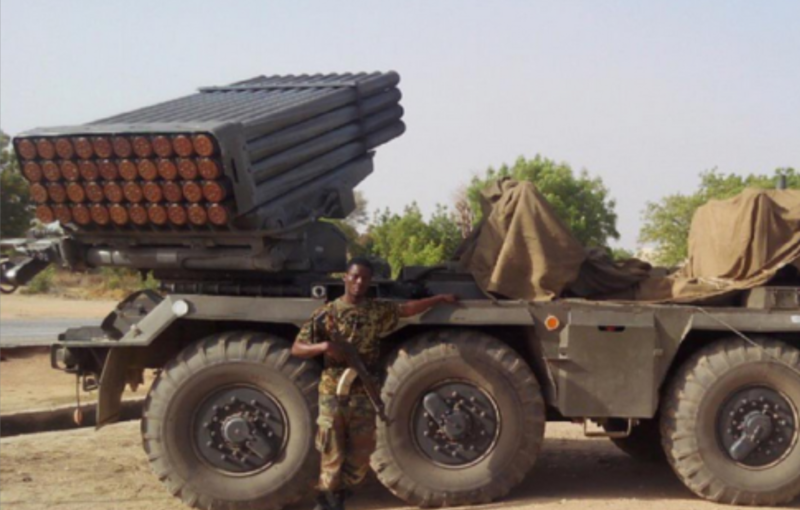 With Boko Haram encircled and cut off from the outside world, zero hour has arrived. 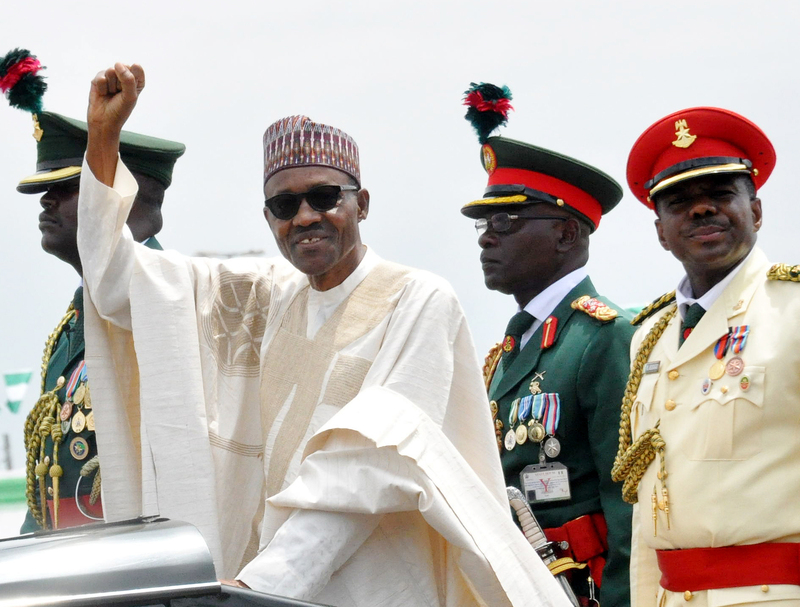 The final offensive to could decide the faith of Boko Haram and its dream for an Islamic Caliphate. 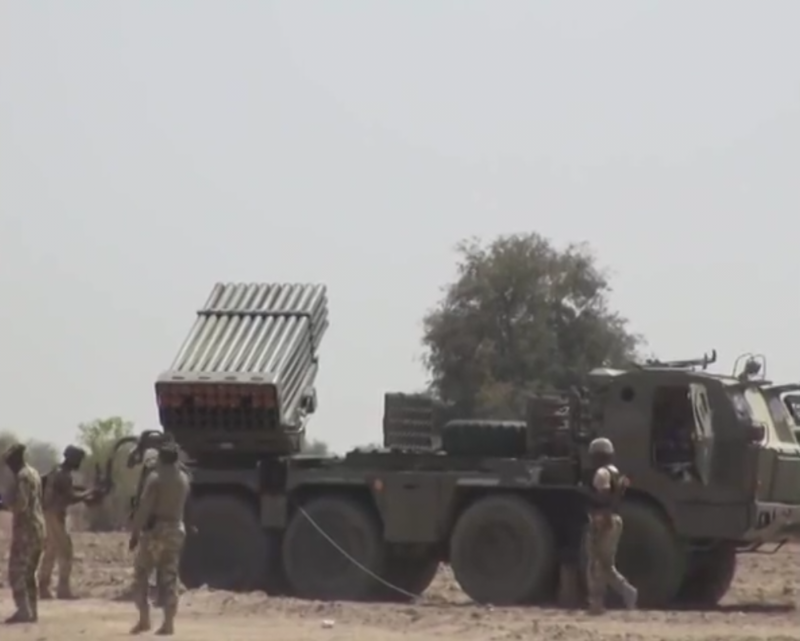 Previous Post Previous post:Watch Nigerian soldiers disembarking, French unload equipment, German transporter lands. 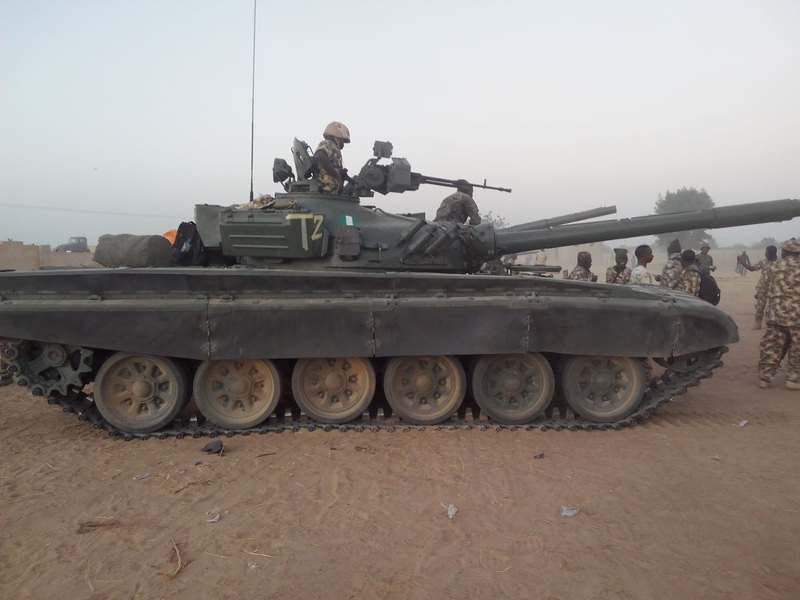 Next Post Operation Lafya Dole : Ground Component.The Assault and Capture of Sambisa.